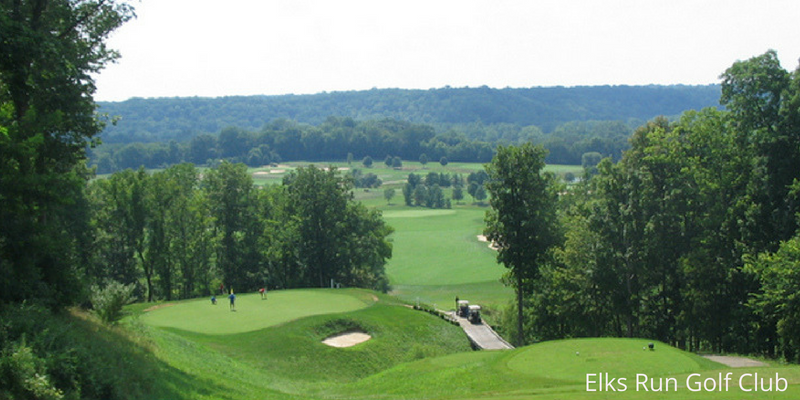 Stonelick Hills Golf Club: One of the highest rated courses in the entire state, Stonelick Hills is perhaps the best public course in Cincinnati. The spectacular layout has it all, with heavily wooded areas, natural water hazards, and an island green on the par 4 9th, which some call the most fun golf hole in the state of Ohio. 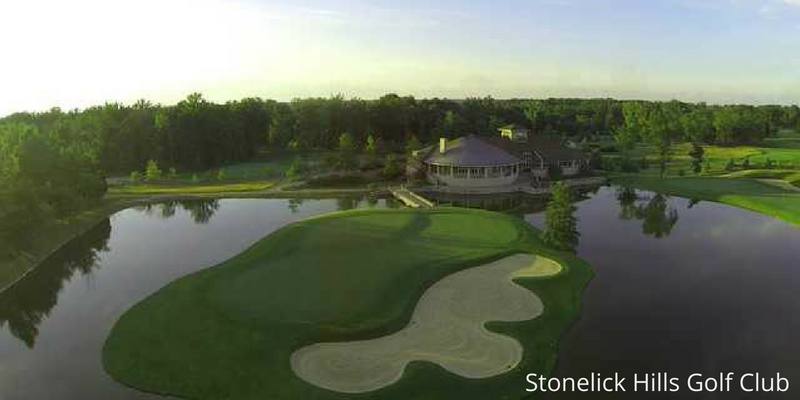 Any trip to Cincinnati is not complete without a round at Stonelick. Elks Run Golf Club: This Greg Norman design is one of my personal favorites, and well worth the drive out to Batavia. Be sure to bring your camera up to the 8th tee box, a picturesque par 3 in which you can see the entire golf course. Holes 3 and 5 also share one of the largest greens you'll ever see. 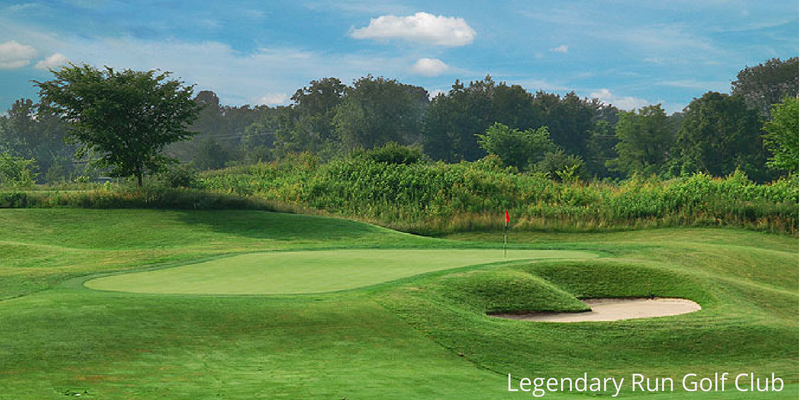 Legendary Run Golf Club: Located in Anderson, this course is a story of two nines. The front is wide open, and each hole is named after a British Open course. The back 9 takes sharp angles and has tight fairways, with each hole named after a US Open course. Be sure to grab a cart here though, as there is plenty of space in between holes, especially on the back 9. 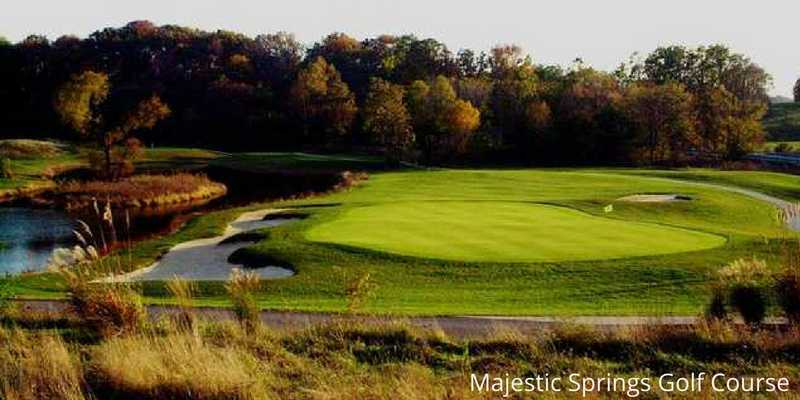 Majestic Springs Golf Course: A hidden gem up in Wilmington, Majestic Springs is a great links style course. It's open fairways and long fescue make it feel like a British Open course, while its meandering streams and smaller greens give it the classic American course feel. This course is off the beaten path, so while it's a great layout and in great condition it's usually not crowded and the rate is excellent. 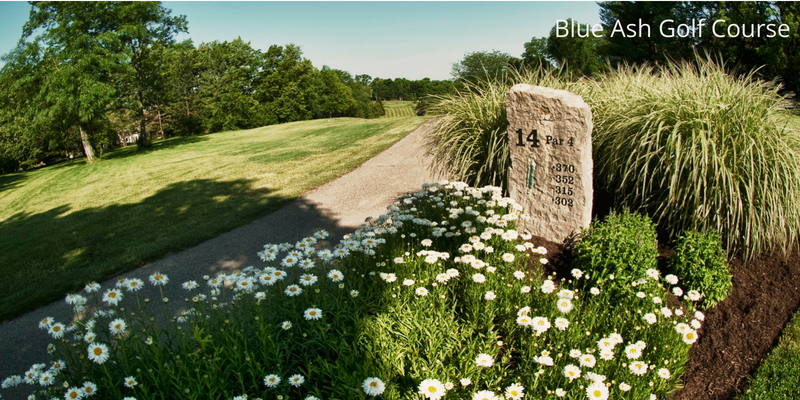 Blue Ash Golf Course: Consistently rated as one of the best municipal courses in the entire country, Blue Ash Golf Course is a suburban paradise. Conveniently located in the popular suburbs of Montgomery and Blue Ash, this course serves many purposes. It has hosted the City Championship, as well as many different weeknight leagues and is popular with the young and old alike. It also offers some of the cheapest rates in the entire area! Hope this article helps you play some great golf in the Cincinnati area. Don't see your favorite course on here? Let me know why you think they should be included at oliver@nextgengolf.org.